G.R.No. 212092, April 08, 2015 - PEOPLES GENERAL INSURANCE CORP. (FORMERLY: PEOPLE'S TRANS-EAST ASIA INSURANCE CORP.), Petitioner, v. COL. FELIX MATEO A. RUNES, Respondent. A.C. No. 5116, April 13, 2015 - DAVAO IMPORT DISTRIBUTORS, INC., Complainant, v. ATTY. JOHNNY LANDERO, Respondent. G.R. No. 176114, April 08, 2015 - GRACE SAN DIEGO Y TRINIDAD, Petitioner, v. THE HONORABLE COURT OF APPEALS, Respondent. G.R. No. 193169, April 06, 2015 - ROGELIO ROQUE, Petitioner, v. PEOPLE OF THE PHILIPPINES, Respondent. G.R. No. 209741, April 15, 2015 - SOCIAL SECURITY COMMISSION, Petitioner, v. EDNA A. AZOTE, Respondent. G.R. No. 185664, April 08, 2015 - ANGELES P. BALINGHASAY, RENATO M. BERNABE, ALODIA L. DEL ROSARIO, CATALINA T. FUNTILA, TERESITA L. GAYANILO, RUSTICO A. JIMENEZ, ARCELI P. JO, ESMERALDA D. MEDINA, CECILIA S. MONTALBAN, VIRGILIO R. OBLEPIAS, CARMENCITA R. PARREÑO, EMMA L. REYES, REYNALDO L. SAVET, SERAPIO P. TACCAD, VICENTE I. VALDEZ, SALVACION F. VILLAMORA, AND DIONISIA M. VILLAREAL, Petitioners, v. CECILIA CASTILLO, OSCAR DEL ROSARIO, ARTURO S. FLORES, XERXES NAVARRO, MARIA ANTONIA A. TEMPLO AND MEDICAL CENTER PARAÑAQUE, INC., Respondent. G.R. No. 203804, April 15, 2015 - DARIO A. CARCEDO (SUBSTITUTED BY HIS WIFE PRISCILLA DELA CRUZ-CARCEDO), Petitioner, v. MAINE MARINE PHILIPPINES, INC. AND/OR MISUGA KAJUN CO., LTD., AND/OR MA. CORAZON GEUSE-SONGCUYA, Respondent. G.R. No. 198543, April 15, 2015 - REPUBLIC OF THE PHILIPPINES, Petitioner, v. CESAR C. PASICOLAN AND GREGORIO C. PASICOLAN, Respondent. G.R. No. 204646, April 15, 2015 - SMART COMMUNICATIONS, INC., NAPOLEON L. NAZARENO, AND RICARDO P. ISLA,* Petitioners, v. JOSE LENI Z. SOLIDUM, Respondent. G.R. No. 195203 [Formerly UDK No. 14435], April 20, 2015 - ANTONIO PAGARIGAN, Petitioner, v. ANGELITA YAGUE AND SHIRLEY ASUNCION, Respondent. G.R. No. 194702, April 20, 2015 - SAN LORENZO RUIZ BUILDERS AND DEVELOPERS GROUP, INC. AND OSCAR VIOLAGO, Petitioners, v. MA. CRISTINA F. BAYANG, Respondent. G.R. No. 216098, April 21, 2015 - BISHOP BRODERICK S. PABILLO, DD, PABLO R. MANALASTAS, JR., PHD, MARIA CORAZON AKOL, CONCEPCION B. REGALADO, HECTOR A. BARRIOS, LEO Y. QUERUBIN, AUGUSTO C. LAGMAN, FELIX P. MUGA, II, PHD, ATTY. GREGORIO T. FABROS, EVITA L. JIMENEZ, AND JAIME DL CARO, PHD, Petitioners, v. COMMISSION ON ELECTIONS, EN BANC, REPRESENTED BY ACTING CHAIRPERSON CHRISTIAN ROBERT S. LIM, AND SMARTMATIC-TIM CORPORATION, REPRESENTED BY SMARTMATIC ASIA-PACIFIC PRESIDENT CESAR FLORES, Respondents. ; G.R. NO. 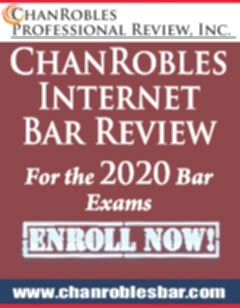 216562 - INTEGRATED BAR OF THE PHILIPPINES, Petitioner, v. COMMISSION ON ELECTIONS, REPRESENTED BY ITS ACTING CHAIRPERSON ROBERT S. LIM, AND SMARTMATIC-TIM CORPORATION, Respondent. G.R. No. 196592, April 06, 2015 - SPOUSES JUVY MARAÑO AND MARIA LUISA G. MARAÑO, Petitioners, v. PRYCE GASES, INCORPORATED, Respondent. G.R. No. 198012, April 22, 2015 - PEOPLE OF THE PHILIPPINES, Plaintiff-Appellee, v. ANGEL MATEO Y JACINTO AND VICENTA LAPIZ Y MEDINA, Accused-Appellants. G.R. No. 202708, April 13, 2015 - PEOPLE OF THE PHILIPPINES, Plaintiff-Appellee, v. VICTORIANO VILLAR @ BOY, Accused-Appellant. G.R. No. 203993, April 20, 2015 - PRISCILO B. PAZ, Petitioner, v. NEW INTERNATIONAL ENVIRONMENTAL UNIVERSALITY, INC., Respondent. G.R. No. 190112, April 22, 2015 - PRIMO CO, SR., EDGARDO CRUZ, FE LANNY L. ALEGADO, JESTER B. ONGCHUAN, JOSEPH ONGCHUAN AND LUCIANNE CHAM, Petitioners, v. THE PHILIPPINE CANINE CLUB, INC., Respondent. G.R. No. 172637, April 22, 2015 - OFFICE OF THE OMBUDSMAN-VISA YAS AND EMILY ROSE KO LIM CHAO, Petitioners, v. MARY ANN T. CASTRO, Respondent. G.R. No. 208163, April 20, 2015 - ROQUE B. BENITEZ AND SANTA FE LABOR UNION-FEDERATION OF FREE WORKERS, Petitioners, v. SANTA FE MOVING AND RELOCATION SERVICES/VEDIT KURANGIL, Respondent. A.C. No. 7250 [Formerly CBD Case No. 05-1448], April 20, 2015 - ATTY. RICARDO M. ESPINA, Complainant, v. ATTY. JESUS G. CHAVEZ, Respondent. G.R. No. 207328, April 20, 2015 - WILHELMSEN-SMITH BELL MANNING/WILHELMSEN SHIP MANAGEMENT, LTD./FAUSTO R. PREYSLER, JR., Petitioners, v. ALLAN SUAREZ, Respondent. G.R. No. 164594, April 22, 2015 - MICHAEL SEBASTIAN, Petitioner, v. ANNABEL LAGMAY NG, REPRESENTED BY HER ATTORNEY-IN-FACT, ANGELITA LAGMAY, Respondent. G.R. No. 197712, April 20, 2015 - NONITO IMBO Y GAMORES, Petitioner, v. PEOPLE OF THE PHILIPPINES, Respondent. G.R. No. 191667, April 22, 2015 - LAND BANK OF THE PHILIPPINES, Petitioner, v. EDUARDO M. CACAYURAN, Respondent, MUNICIPALITY OF AGOO, LA UNION, Intervenor. G.R. No. 198465, April 22, 2015 - LITEX GLASS AND ALUMINUM SUPPLY AND/OR RONALD ONG-SITCO, Petitioners, v. DOMINADOR B. SANCHEZ, Respondent. G.R. Nos. 173148, April 06, 2015 - ELSA DEGAYO, Petitioner, v. CECILIA MAGBANUA-DINGLASAN, JOHNNY DINGLASAN, ASUNCION MAGBANUA-PORRAS, MARIANO PASCUALITO AND AMADO JR., ALL SURNAMED MAGBANUA, Respondent. G.R. No. 194061, April 20, 2015 - EMELIE L. BESAGA, Petitioner, v. SPOUSES FELIPE ACOSTA AND LUZVIMINDA ACOSTA AND DIGNA MATALANG COCHING, Respondent. G.R. No. 183587, April 20, 2015 - LEXBER, INC., Petitioner, v. CAESAR M. AND CONCHITA B. DALMAN, Respondent. G.R. No. 193101, April 20, 2015 - NICANOR CERIOLA, Petitioner, v. NAESS SHIPPING PHILIPPINES, INC., MIGUEL OCA AND/OR KUWAIT OIL TANKER, Respondent. G.R. No. 198356, April 20, 2015 - ESPERANZA SUPAPO AND THE HEIRS OF ROMEO SUPAPO, NAMELY: ESPERANZA, REX EDWARD, RONALD TROY, ROMEO, JR., SHEILA LORENCE, ALL SURNAMED SUPAPO, AND SHERYL FORTUNE SUPAPO-SANDIGAN, Petitioners, v. SPOUSES ROBERTO AND SUSAN DE JESUS, MACARIO BERNARDO, AND THOSE PERSONS CLAIMING RIGHTS UNDER THEM, Respondent. G.R. No. 206540, April 20, 2015 - ALICE G. AFRICA, Petitioner, v. INSURANCE SAVINGS AND INVESTMENT AGENCY, INC. (ISIA) REPRESENTED BY ITS PRESIDENT, DELIA DE BORJA; ACTING REGISTER OF DEEDS, LAS PINAS CITY, ATTY. ABRAHAM N. VERMUDEZ, Respondents. G.R. No. 196357, April 20, 2015 - THE HEIRS OF THE LATE DELFIN DELA CRUZ, REPRESENTED BY HIS SPOUSE, CARMELITA DELA CRUZ, Petitioners, v. PHILIPPINE TRANSMARINE CARRIERS, INC., REPRESENTED BY MR. CARLOS C. SALINAS AND/OR TECTO BELGIUM N.V., Respondent. G.R. No. 204171, April 15, 2015 - OFFICE OF THE OMBUDSMAN, Petitioner, v. WILFREDO B. AGUSTINO, RUDY G. CANASTILLO, EDWARD G. CANASTILLO, CECIL C. CALIGAN, Respondent. G.R. No. 206020, April 14, 2015 - 1-UNITED TRANSPORT KOALISYON (1-UTAK), Petitioner, v. COMMISSION ON ELECTIONS, Respondent. G.R. No. 174202, April 07, 2015 - DYNAMIC BUILDERS & CONSTRUCTION CO. (PHIL. ), INC., Petitioner, v. HON. RICARDO P. PRESBITERO, JR., MAYOR AND HEAD OF PROCURING UNIT OF THE MUNICIPALITY OF VALLADOLID, NEGROS OCCIDENTAL; BIDS AND AWARDS COMMITTEE, MUNICIPALITY OF VALLADOLID, NEGROS OCCIDENTAL; AND HENRY L. JORDAN AND/OR HLJ CONSTRUCTION AND ENTERPRISE, Respondents. G.R. No. 208062, April 07, 2015 - SOCIAL WEATHER STATIONS, INC. AND PULSE ASIA, INC., Petitioners, v. COMMISSION ON ELECTIONS, Respondent. A.M. No. RTJ-14-2402 (Formerly OCA IPI No. 12-3910-RTJ), April 15, 2015 - JOSEFINA M. ONGCUANGCO TRADING CORPORATION, REPRESENTED BY JOSEFINA M. ONGCUANGCO, Complainant, v. JUDGE RENATO D. PINLAC, REGIONAL TRIAL COURT, BRANCH 57, SAN CARLOS CITY, PANGASINAN, Respondent. G.R. No. 211833, April 07, 2015 - FERDINAND R. VILLANUEVA, PRESIDING JUDGE, MCTC, COMPOSTELA-NEW BATAAN, COMPOSTELA VALLEY PROVINCE, Petitioner, v. JUDICIAL AND BAR COUNCIL, Respondent. G. R. No. 171601, April 08, 2015 - SPOUSES BONIFACIO AND LUCIA PARAS, Petitioners, v. KIMWA CONSTRUCTION AND DEVELOPMENT CORPORATION, Respondent. G.R. Nos. 194339-41, April 20, 2015 - TERESITA A. CIRON, Petitioner, v. MA. MERCEDITAS N. GUTIERREZ, IN HER OFFICIAL CAPACITY AS OMBUDSMAN, FLORIZA A. BRIONES AND TERESITA P. BUTARDO- TACATA, IN THEIR OFFICIAL CAPACITIES AS GRAFT INVESTIGATION & PROSECUTION OFFICER II OF THE OFFICE OF THE OMBUDSMAN, NONNA O. BELTRAN, 2nd ASSISTANT CITY PROSECUTOR, RAUL E. CONTRERAS, CITY PROSECUTOR, BOTH OF NATIONAL PROSECUTION OFFICE, IRIGA CITY, AND SANTIAGO D. ORTEGA, JR., Respondent. G.R. No. 213214, April 20, 2015 - PEOPLE OF THE PHILIPPINES, Plaintiff-Appellee, v. EUGENE SAMUYA, Accused-Appellant. G.R. No. 213216, April 20, 2015 - PEOPLE OF THE PHILIPPINES, Plaintiff-Appellee, v. RICKY ARGUTA ALIAS "JOEL" AND WILSON CAHIPE ALIAS "SIWIT," Accused-Appellants. A.C. No. 10303, April 22, 2015 - JOY A. GIMENO, Complainant, v. ATTY. PAUL CENTILLAS ZAIDE, Respondent. G.R. No. 203530, April 13, 2015 - LUZON DEVELOPMENT BANK, TOMAS CLEMENTE, JR., AND OSCAR RAMIREZ, Petitioners, v. ERLINDA KRISHNAN, Respondent. A.M. No. RTJ-12-2325 (Formerly A.M. No. 12-7-132-RTC), April 14, 2015 - OFFICE OF THE COURT ADMINISTRATOR, Complainant, v. JUDGE ALAN L. FLORES, PRESIDING JUDGE, REGIONAL TRIAL COURT, BRANCH 7, TUBOD, LANAO DEL NORTE AND FORMER ACTING PRESIDING JUDGE, REGIONAL TRIAL COURT, BRANCH 21, KAPATAGAN, LANAO DEL NORTE, Respondent. ; A.M. No. RTJ-15-2419 (FORMERLY A.M. OCA IPI No. 11-3649-RTJ) - PROSECUTOR DIOSDADO D. CABRERA, Complainant, v. JUDGE ALAN L. FLORES, PRESIDING JUDGE, REGIONAL TRIAL COURT, BRANCH 7, TUBOD, LANAO DEL NORTE AND FORMER ACTING PRESIDING JUDGE, REGIONAL TRIAL COURT, BRANCH 21, KAPATAGAN, LANAO DEL NORTE, Respondent. G.R. No. 189649, April 20, 2015 - ADORACION CAROLINO (SPOUSE AND IN SUBSTITUTION OF THE DECEASED JEREMIAS A. CAROLINO), Petitioner, v. GEN. GENEROSO SENGA, AS CHIEF OF STAFF OF THE ARMED FORCES OF THE PHILIPPINES (AFP); BRIG. GEN. FERNANDO ZABAT, AS CHIEF OF THE AFP FINANCE CENTER; COMMO. REYNALDO BASILIO, AS CHIEF OF THE AFP-GHQ MANAGEMENT AND FISCAL OFFICE; AND COMMO. EMILIO MARAYAG, PENSION AND GRATUITY OFFICER, PENSION AND GRATUITY MANAGEMENT CENTER, AFP FINANCE CENTER, Respondent. G.R. No. 183641, April 22, 2015 - BENJAMIN GUERRERO, Petitioner, v. DIRECTOR, LAND MANAGEMENT BUREAU, FLORANTE EDWARD R. BENITEZ, PROJECT EVALUATION OFFICER III, LEGAL DIVISION; AND HEIRS OF MARCELO BUSTAMANTE, REPRESENTED BY CORA Z. BUSTAMANTE, Respondent. G.R. No. 205188, April 22, 2015 - REPUBLIC OF THE PHILIPPINES, REPRESENTED BY HONORABLE LOURDES M. TRASMONTE IN HER CAPACITY AS UNDERSECRETARY OF THE DEPARTMENT OF LABOR AND EMPLOYMENT, AND AHONORABLE JENNIFER JARDIN-MANALILI, IN HER CAPACITY AS THEN PHILIPPINE OVERSEAS EMPLOYMENT ADMINISTRATOR, Petitioner, v. HUMANLINK MANPOWER CONSULTANTS, INC. (FORMERLY MHY NEW RECRUITMENT INTERNATIONAL, INC.), Respondent. G.R. No. 182805, April 22, 2015 - HEIRS OF SERAPIO MABBORANG: LAURIANO MABBORANG, DOMINGO MABBORANG, ENCARNACION MABBORANG, FELIX MABBORANG, FAUSTINA MABBORANG, ELIAS MABBORANG, ALBERTA MABBORANG; HEIRS OF REGINO MABBORANG: JOSE MABBORANG, DIONICIA MABBORANG, SOTERA MABBORANG, MARIANO MABBORANG; HEIRS OF SUSANA MABBORANG: CECILIA UBINA-OCAB AND CANDIDA U. TAGUIGA; SEGUNDA MABBORANG; HEIRS OF VICTORINO MABBORANG: JUAN MABBORANG, JR., SERVANDO MABBORANG; AND HEIRS OF VICENTE MABBORANG: MARIANO MABBORANG, MARTIN MABBORANG, LUZ MABBORANG-CARILLO, Petitioners, v. HERMOGENES MABBORANG AND BENJAMIN MABBORANG, Respondent. A.M. No. P-12-3092 (Formerly A.M. No. 12-7-54-MTC), April 14, 2015 - OFFICE OF THE COURT ADMINISTRATOR, Complainant, v. REMEDIOS R. VIESCA, CLERK OF COURT II, MUNICIPAL TRIAL COURT OF SAN ANTONIO, NUEVA ECIJA, Respondent. G.R. Nos. 211933 & 211960, April 15, 2015 - ROBERTA S. SALDARIEGA, Petitioner, v. HON. ELVIRA D.C. PANGANIBAN, PRESIDING JUDGE, BRANCH 227, REGIONAL TRIAL COURT, NATIONAL CAPITAL REGION, QUEZON CITY AND PEOPLE OF THE PHILIPPINES, Respondent. G.R. No. 179334, April 21, 2015 - SECRETARY OF THE DEPARTMENT OF PUBLIC WORKS AND HIGHWAYS AND DISTRICT ENGINEER CELESTINO R. CONTRERAS, Petitioners, v. SPOUSES HERACLEO AND RAMONA TECSON, Respondents. G.R. No. 201146, April 15, 2015 - PEOPLE OF THE PHILIPPINES, Appellee, v. MICHAEL ROS Y ORTEGA, RODOLFO JUSTO, JR. Y CALIFLORES, AND DAVID NAVARRO Y MINAS, Appellants. A.C. No. 9868 [formerly CBD Case No. 05-1617], April 22, 2015 - ATTY. ALFREDO L. VILLAMOR, JR., Complainant, v. ATTYS. E. HANS A. SANTOS AND AGNES H. MARANAN, Respondents. G.R. No. 200465, April 20, 2015 - JOCELYN ASISTIO Y CONSINO, Petitioner, v. PEOPLE OF THE PHILIPPINES AND MONICA NEALIGA, Respondent. G.R. Nos. 192698-99, April 22, 2015 - RAYMUNDO E. ZAPANTA, Petitioner, v. PEOPLE OF THE PHILIPPINES, Respondent. G.R. No. 197597, April 08, 2015 - IN THE MATTER OF THE PETITION FOR HABEAS CORPUS OF DATUKAN MALANG SALIBO, DATUKAN MALANG SALIBO, Petitioner, v. WARDEN, QUEZON CITY JAIL ANNEX, BJMP BUILDING, CAMP BAGONG DIWA, TAGUIG CITY AND ALL OTHER PERSONS ACTING ON HIS BEHALF AND/OR HAVING CUSTODY OF DATUKAN MALANG SALIBO, Respondents. G.R. No. 159611, April 22, 2015 - HEIRS OF ANTERO SOLIVA, Petitioner, v. SEVERINO, JOEL, GRACE, CENON, JR., RENATO, EDUARDO, HILARIO, ALL SURNAMED SOLIVA, ROGELIO V. ROLEDA, AND SANVIC ENTERPRISES, INC., REPRESENTED BY ITS MANAGER, SANTOS PORAQUE, Respondents. G.R. No. 212381, April 22, 2015 - REYNALDO M. JACOMILLE, Petitioner, v. HON. JOSEPH EMILIO A. ABAYA, IN HIS CAPACITY AS SECRETARY OF TRANSPORTATION AND COMMUNICATIONS (DOTC); ATTY. ALFONSO V. TAN, JR., IN HIS CAPACITY AS ASSISTANT SECRETARY OF THE LAND TRANSPORTATION OFFICE (LTO); HON. FLORENCIO ABAD, IN HIS CAPACITY AS SECRETARY OF BUDGET AND MANAGEMENT (DBM); HON. ARSENIO M. BALISACAN, IN HIS CAPACITY AS DIRECTOR GENERAL OF THE NATIONAL ECONOMIC AND DEVELOPMENT AUTHORITY (NEDA); HON. MARIA GRACIA M. PULIDO TAN, IN HER CAPACITY AS CHAIRPERSON OF THE COMMISSION ON AUDIT (COA) AND POWER PLATES DEVELOPMENT CONCEPTS, INC.,/J. KNIERIEM B.V. GOES (JKG) (JOINT VENTURE) REPRESENTED BY ITS MANAGING DIRECTOR, CHRISTIAN S. CALALANG, Respondents. G.R. No. 202331, April 22, 2015 - THE PROVINCIAL GOVERNMENT OF AURORA, Petitioner, v. HILARIO M. MARCO, Respondents. G.R. No. 197562, April 20, 2015 - AURORA ENGSON FRANSDILLA, Petitioner, v. PEOPLE OF THE PHILIPPINES, Respondent. G.R. No. 180771, April 21, 2015 - RESIDENT MARINE MAMMALS OF THE PROTECTED SEASCAPE TANON STRAIT, E.G., TOOTHED WHALES, DOLPHINS, PORPOISES, AND OTHER CETACEAN SPECIES, JOINED IN AND REPRESENTED HEREIN BY HUMAN BEINGS GLORIA ESTENZO RAMOS AND ROSE-LIZA EISMA-OSORIO, IN THEIR CAPACITY AS LEGAL GUARDIANS OF THE LESSER LIFE-FORMS AND AS RESPONSIBLE STEWARDS OF GOD'S CREATIONS, Petitioners, v. SECRETARY ANGELO REYES, IN HIS CAPACITY AS SECRETARY OF THE DEPARTMENT OF ENERGY (DOE), SECRETARY JOSE L. ATIENZA, IN HIS CAPACITY AS SECRETARY OF THE DEPARTMENT OF ENVIRONMENT AND NATURAL RESOURCES (DENR), LEONARDO R. SIBBALUCA, DENR REGIONAL DIRECTOR-REGION VII AND IN HIS CAPACITY AS CHAIRPERSON OF THE TANON STRAIT PROTECTED SEASCAPE MANAGEMENT BOARD, BUREAU OF FISHERIES AND AQUATIC RESOURCES (BFAR), DIRECTOR MALCOLM I. SARMIENTO, JR., BFAR REGIONAL DIRECTOR FOR REGION VII ANDRES M. BOJOS, JAPAN PETROLEUM EXPLORATION CO., LTD. (JAPEX), AS REPRESENTED BY ITS PHILIPPINE AGENT, SUPPLY OILFIELD SERVICES, INC., Respondents. ; G.R. No. 181527 - CENTRAL VISAYAS FISHERFOLK DEVELOPMENT CENTER (FIDEC), CERILO D. ENGARCIAL, RAMON YANONG, FRANCISCO LABID, IN THEIR PERSONAL CAPACITY AND AS REPRESENTATIVES OF THE SUBSISTENCE FISHERFOLKS OF THE MUNICIPALITIES OF ALOGUINSAN AND PINAMUNGAJAN, CEBU, AND THEIR FAMILIES, AND THE PRESENT AND FUTURE GENERATIONS OF FILIPINOS WHOSE RIGHTS ARE SIMILARLY AFFECTED, Petitioners, v. SECRETARY ANGELO REYES, IN HIS CAPACITY AS SECRETARY OF THE DEPARTMENT OF ENERGY (DOE), JOSE L. ATIENZA, IN HIS CAPACITY AS SECRETARY OF THE DEPARTMENT OF ENVIRONMENT AND NATURAL RESOURCES (DENR), LEONARDO R. SIBBALUCA, IN HIS CAPACITY AS DENR REGIONAL DIRECTOR-REGION VII AND AS CHAIRPERSON OF THE TAÑON STRAIT PROTECTED SEASCAPE MANAGEMENT BOARD, ALAN ARRANGUEZ, IN HIS CAPACITY AS DIRECTOR ENVIRONMENTAL MANAGEMENT BUREAU-REGION VII, DOE REGIONAL DIRECTOR FOR REGION VIII1 ANTONIO LABIOS, JAPAN PETROLEUM EXPLORATION CO., LTD. (JAPEX), AS REPRESENTED BY ITS PHILIPPINE AGENT, SUPPLY OILFIELD SERVICES, INC., Respondent. G.R. No. 202950, April 06, 2015 - BALTAZAR IBOT, Petitioner, v. HEIRS OF FRANCISCO TAYCO, REPRESENTED BY FLORA TAYCO, WILLY TAYCO AND MERLYN T. BULANTE, Respondents. G.R. No. 187013, April 22, 2015 - SPOUSES MAGDALINO AND CLEOFE BADILLA, Petitioners, v. FE BRAGAT, Respondent. G.R. No. 194642, April 06, 2015 - NUNELON R. MARQUEZ, Petitioner, v. ELISAN CREDIT CORPORATION, Respondents. G.R. No. 209331, April 24, 2015 - DEPARTMENT OF FINANCE, REPRESENTED BY HON. CESAR V. PURISIMA IN HIS OFFICIAL CAPACITY AS SECRETARY, AND THE BUREAU OF CUSTOMS, REPRESENTED BY HON. ROZZANO RUFINO B. BIAZON, IN HIS OFFICIAL CAPACITY AS COMMISSIONER OF CUSTOMS, Petitioners, v. HON. MARINO M. DELA CRUZ, JR., IN HIS CAPACITY AS EXECUTIVE JUDGE, REGIONAL TRIAL COURT, MANILA, HON. FELICITAS O. LARON-CACANINDIN, IN HER CAPACITY AS PRESIDING JUDGE, REGIONAL TRIAL COURT, MANILA, BRANCH 17, RONNIE C. SILVESTRE, EDWARD P. DELA CUESTA, ROGEL C. GATCHALIAN, IMELDA D.CRUZ, LILIBETH S. SANDAG, RAYMOND P. VENTURA, MA. LIZA S. TORRES, ARNEL C. ALCARAZ, MA. LOURDES V. MANGAOANG, FRANCIS AGUSTIN Y. ERPE, CARLOS T. SO, MARIETTA D. ZAMORANOS, CARMELITA M. TALUSAN,1 AREFILES H. CARREON,2 AND ROMALINO G. VALDEZ, Respondents. MUNICIPALITY OF AGOO, LA UNION, Intervenor. Before the Court are the following motions: (a) the Motion for Reconsideration1 dated May 22, 2013, filed by petitioner Land Bank of the Philippines (LBP) assailing the Decision2 dated April 17, 2013 of the Court (April 17, 2013 Decision), which upheld the Decision3 dated March 26, 2010 of the Court of Appeals (CA) in CA-G.R. CV. No. 89732 affirming with modification the Decision4 dated April 10, 2007 of the Regional Trial Court of Agoo, La Union, Branch 31 in Civil Case No. A-2473; (b) the Motion for Leave to Intervene with Pleading-in-Intervention Attached 5 dated July 8, 2013, filed by the Municipality of Agoo, La Union (Municipality) praying that it be allowed to intervene in this case; and (c) the Motion for Reconsideration-in-Intervention6 dated July 8, 2013, filed by the Municipality seeking that the Court set aside its April 17, 2013 Decision and promulgate a new one in its stead dismissing the case (subject motions). Dissatisfied, LBP filed a petition for review on certiorari27 before this Court. Meanwhile, the Municipality filed a Motion for Leave to Intervene with Pleading-In-Intervention Attached33 dated July 8, 2013 and a Motion for Reconsideration in-Intervention34 of even date, praying that it be included as a party-litigant to the instant case. It contends that as a contracting party to the Subject Loans, it is an indispensable party to the action filed by Cacayuran. As such, there cannot be any "real disposition" of the instant suit by reason of its exclusion from the same. In opposition,35 Cacayuran maintains that LBP did not raise any new matter to warrant reconsideration of the April 17, 2013 Decision. Anent the Municipality's motion to intervene, Cacayuran insists that the Municipality is not a real party-in-interest to the instant case as his complaint is against the municipal officers in their personal capacity for their ultra vires acts which are not binding on the Municipality. Finally, in its Comment on the Motion for Leave to Intervene and Motion for Reconsideration-in-Intervention36 dated May 6, 2014, LBP agrees with the Municipality that the latter is an indispensable party to the instant case and as such, should be included herein. The core issue for the Court's resolution is whether or not the Municipality should be deemed as an indispensable party to the instant case, and thus, be ordered impleaded herein. 3. To recapitulate: The case had its beginnings in the two (2) Loans obtained by [the Municipality] from [LBP] and by the Board Resolutions passed and adopted by the Sangguniang Bayan of Agoo, La Union, together with the Mayor and Vice-Mayor of the Municipality. 3d. The two (2) Loans were covered and evidenced by separate Loan Agreements and Mortgage/Assignment Documents. The parties which entered into and executed the covering documents were [LBP] as lender and [the Municipality] as borrower. 3e. When the construction was about 40% complete, [Cacayuran] as a taxpayer filed the case against the: (i) Mayor; (ii) Vice-Mayor; and (iii) Ten (10) Members [of] the Sangguniang Bayan [of] Agoo, La Union, as defendants. [The Municipality] was excluded, and was not impleaded as a defendant in the case. Indeed, [the Municipality! Ion whose lands stands and is found the Agoo Public Plaza, where the Kiosks and Commercial Building were under construction and which constructions were sought to be restrained] stands to be benefited or injured by the judgment in the case so filed or the party entitled to the avails of the case and is, therefore, the real party-in-interest. 3k. Without having to say so, the RTC dispositions as affirmed with modification by the CA Decision which, in turn was affirmed by the SC Decision must not be binding upon [the Municipality], the real party-in-interest, the indispensable party in fact, not impleaded as defendant in this case.43 (Emphases and underscoring supplied). The Court observes that it is only now that the issue of the Municipality's exclusion from the instant case, despite its status as an indispensable party, became apparent. This recent finding may be credited to the fact that the initial parties before the Court, i.e., LBP and Cacayuran, have dissimilar interests from that of the Municipality, and, hence, had no incentive to raise the issue of the latter's status as an indispensable party. On the one hand, Cacayuran's interest to the case is centered on the declaration of nullity of the Subject Loans, as well as the enjoinment of the commercialization of the Public Plaza; and on the other hand, LBP's interest to the case is anchored on its capacity as creditor to the Subject Loans. To the mind of the Court, the municipal officers would have been in the best position to raise this issue; however, they were unable to do so because their appeal before the CA was deemed abandoned for their failure to file an appellants' brief on time. Be that as it may, the Court is not precluded from taking cognizance of the Municipality's status as an indispensable party even at this stage of the proceedings. Indeed, the presence of indispensable parties is necessary to vest the court with jurisdiction44 and, corollarily, the issue on jurisdiction may be raised at any stage of the proceedings.45 Thus, as it has now come to the fore that any resolution of this case would not be possible and, hence, not attain any real finality due to the non-joinder of the Municipality, the Court is constrained to set aside all subsequent actuations of the courts a quo in this case, including that of the Court's, and remand the case all the way back to the RTC for the inclusion of all indispensable parties to the case and its immediate disposition on the merits.46 With this, the propriety of the Municipality's present intervention is now mooted. WHEREFORE, the subject motions are PARTLY GRANTED. The Decision dated April 17, 2013 of the Court, which upheld the Decision dated March 26, 2010 of the Court of Appeals in CA-G.R. CV. No. 89732 affirming with modification the Decision dated April 10, 2007 of the Regional Trial Court of Agoo, La Union, Branch 31 in Civil Case No. A-2473 is hereby SET ASIDE. Accordingly, the instant case is REMANDED to the court a quo, which is hereby DIRECTED to order respondent Eduardo M. Cacayuran to implead all indispensable parties and thereafter, PROCEED with the resolution of the case on the merits WITH DISPATCH. 2Land Bank of the Philippines v. Cacayuran, G.R. No. 191667, April 17, 2013, 696 SCRA 861. See also rollo, pp. 365-376. 3Rollo, pp. 42-73. Penned by Associate Justice Celia C. Librea-Leagogo with Associate Justices Ramon R. Garcia and Stephen C. Cruz concurring. 4 Id. at 74-203. Penned by Executive Judge Clifton U. Ganay. 11 See id. at 366-367. 14 Dated December 18, 2006. Id. at 205-212. 15 See Id. at 210-211. 20 See id. at 368. 21 Not attached to the rollo. 25 Entitled "An ACT PROVIDING FOR A LOCAL GOVERNMENT CODE OF 1991"; approved on October 10 1991. 26 See rollo, pp. 368-369. 32 See Motion for Reconsideration dated May 22, 2013; id. at 377-382. 35 See Comment/Opposition to Petitioner's Motion for Reconsideration, and to Intervenor's Motion for Reconsideration in-Intervention dated October 24, 2013; id. at 424-439. 37Gabatin v. Land Bank of the Philippines, 486 Phil. 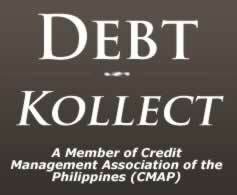 366, 379-380 (2004), citing Bank of the Philippine Islands v. CA, 450 Phil. 532, 541 (2003). 38 See Domingo v. Scheer, 466 Phil. 235, 265 (2004). 41 "A real party-in-interest is the party who stands to be benefited or injured by the judgment in the suit, or the party entitled to the avails of the suit. Unless otherwise authorized by law or these Rules, every action must be prosecuted or defended in the name of the real party-in-interest." (Section 2, Rule 3 of the Rules of Court). 42 See rollo, pp. 395-396. 44[email protected], Inc. v. Malayan Insurance Company, Inc., G.R. No. 193753, September 26 2012 682 SCRA 59, 64. 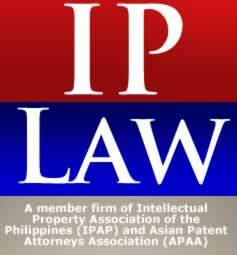 45Francel Realty Corporation v. Sycip, 506 Phil. 407, 415 (2005). 46 See Quilatan v. Heirs of Quilatan (614 Phil 162, 168 ) where the Court ordered the remand of the case therein all the way back to the RTC for the failure of petitioners therein to implead all the indispensable parties in their complaint.